After the Revolution of Dignity Odesa has come into the spotlight of attention by foreign media and experts quite a number of times. One of the first occasions for that turned to be the tragedy of May 2, 2014 when following the clashes between pro-Russian and pro-Ukrainian forces dozens of people were killed in fire at the House of Trade Unions. Appointment of ex-president of Georgia Mikheil Saakashvili to the post of the Head of the Odesa Regional State Administration, who stayed in office in 2015-2016 was also a hot topic for the media. International attractiveness of Odesa, a multinational, vibrant city, often referred to as the “Ukrainian Marseille”, is not occasional. However starting from 2017 Odesa has been again making the headlines in Ukrainian media. This time the city is seeing attacks on journalists and activists happening nearly each month. UCMC takes a look at this worrying trend. “Silence kills”. Late in the evening on September 27th the “Silence kills” rally was held outside the Presidential Administration in Kyiv. 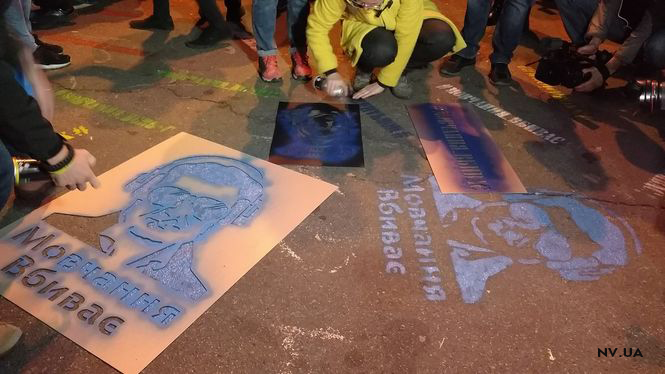 The event ended at midnight, while the participants of the rally demanded that the authorities investigate the attacks on civil society activists that are becoming more and more frequent in Ukraine and that actually remain not investigated. Criminal Odesa. 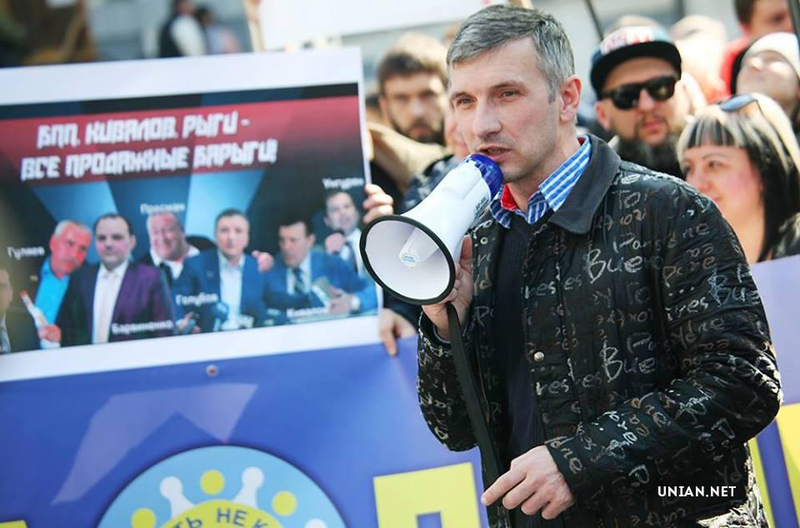 The latest loud case in Odesa became an attempt on the life of activist Oleh Mykhailyk, leader of the city branch of the party “Syla Liudey” (The Power of People). He was shot at near his house on Osipova street in downtown Odesa in the evening of September 22. Wounded Mykhailyk was immediately taken to the hospital in the critical condition. He lost a lot of blood and revived after a clinical death. The life of the 44-year old man was under threat. The medics succeeded to stabilize his condition and there is hope for his recovery. The case does not stand alone, instead it is one of about 40 cases when activists were attacked, 14 of them took place in Odesa over the last year. Earlier subject to physical violence in Odesa became Alina Podolyanka of the regional office of the party “Narodnyi Rukh Ukrainy” (People’s Movement of Ukraine), Svitlana Podpala, expert of the “May 2 Group”, Serhiy Sternenko of “Nebayduzhi” NGO (Not indifferent) who was attacked several times and Vitaliy Ustymenko, Automaidan activist, who incurred stab wounds. Leader of “Narodnyi Rukh Ukrainy” Mykhailo Kuzakon and activist Hryhoriy Kozma miraculously survived in a car rammed into by a truck. The attack on Kateryna Gandzyuk, activist and advisor to the city mayor of Kherson, when sulfuric acid was thrown on the woman in summer, got wide coverage and much public attention. All the victims belong to different organizations, political forces or media outlets, but they are all united by two factors: they have been systematically exposing corruption and other violations of local authorities over the time and they stand for Ukraine’s unity. So what does this series of attacks mean? Who is Oleh Mykhailyk? Mykhailyk is a civic activist who has been fighting against the illegal construction in the city for a number of years. He has recently announced his intention to run for mayor of Odesa in the upcoming local elections. He has been organizing the rallies of protest and actively participating in them, he took part in the action “Odesa without Trukhanov” (referring to Odesa mayor Gennadiy Trukhanov – UCMC). On the day when he was attacked Mykhailyk took part in a picket against illegal construction at the Lanzheron beach. Comments and versions. Leader of Odesa regional branch of the party “Syla Liudey” Ihor Bychkov sees the attempt on the life of his fellow colleague linked above all to being in opposition to mayor Trukhanov. “Oleh has been always saying that Trukhanov is chairing the criminal group that is robbing our city, while the National Police Head in Odesa region Dmytro Holovin and the regional prosecutor Oleh Zhuchenko are covering the Odesa authorities in their illegal actions,” Bychkov said. “Galanternyk is a man who is largely defining the course of political and business processes in the city,” says political scientist from Odesa Yaroslav Katolik in the interview to “Novoe Vremya”. “He is a grey eminence of Odesa. If checked, the official registries will show no business owned by Galanternyk in Odesa. Galanternyk himself is a myth. Everyone knows about him but no one actually saw him.” He is residing in the UK with his wife and the son for several years now. 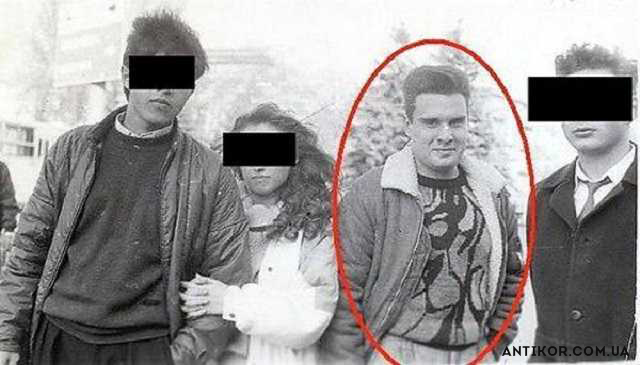 There are almost no photos of him on the web. What is known about Galanternyk? In early 1990s Odesite Galanternyk used to be an ordinary businessman selling electrical appliances. 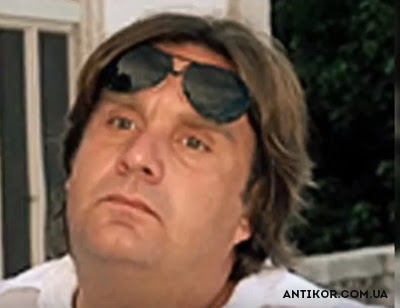 He later joined a criminal group, the one on which the Italian police made a report in 1998 and of which the actual mayor of Odesa Gennadiy Trukhanov used to be a member as well. According to BBC, Italian law enforcement started watching the Odesites when they suspected them in drugs and weapons smuggling, they used Italy as a transit point. Moreover, Trukhanov had the local registration. According to Italian law enforcement, Odesites used to control the exports and imports of oil products, were engaged in racketeering and were trading weapons. According to Odesa experts Galanternyk is controlling the Pryvoz market today, owns partially or fully the trade center “City Center” and the resort area Arkadia City (transformed from the famous Arkadia beach) as well as trade facilities on Starosinna square, luxury residential building Green Wood and hotel De Paris located 50m of the Potyomkin steps, and a series of construction companies. “All construction companies are already owned by this duo (Trukhanov-Galanternyk – UCMC), or are on the way. The same applies to the construction and reconstruction of roads – the firms winning the tenders are affiliated to the Odesa mayor,” writes on Facebook Zoya Kazanzhy. It is highly probable that the attack on the activist should be investigated in the context of the ties that the local authorities have with the business interests of Odesa’s “lords”. Why Kyiv’s reaction is crucial? After the series of attacks it becomes obvious that Kyiv must react. Back in time Poroshenko removed from office the Head of the Odesa Regional State Administration Saakashvili with no hesitation when the latter was in try to fight against corruption – whether successfully or not, and represented a political threat to the President. Why can’t he stop Trukhanov, whose corrupt activities are well-known far beyond the city? Kyiv’s inaction would mean unwillingness or inability to combat corruption, the goal that the actual authorities present as their top priority.